In the mid to late 1800's several Irwin families lived near these communities. Sometimes, the Irwins actually lived closer to Billingsville, however many of the family burials were in College Corner Cemetery. 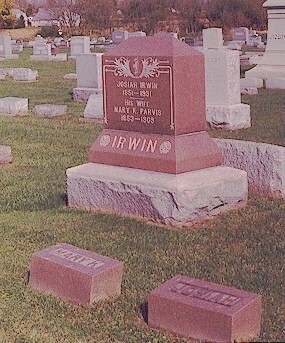 The Irwins had come to Union county from either Darrtown, Ohio, or Fairfield, Indiana. At one point, three Irwin brothers, James C., Thomas, and Robert L., owned farms on the same road just south of Billingsville. Billingsville is an area southwest of College Corner. James C. was the older of the brothers. He had married Hannah E. Young and they were the parents of these children: Morton Irwin, Samuel S. Irwin, Mary Elizabeth Irwin, Ann Malinda Irwin, Stephen Irwin, Josiah Irwin, Lydia Maria Irwin, Emma Irwin, and James C. Irwin. 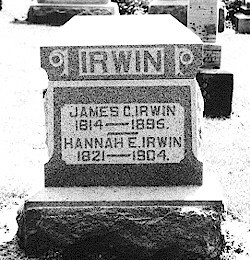 College Corner Grave marker for James C. and Hanna Young Irwin. 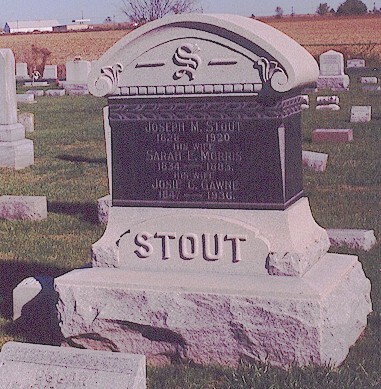 Joseph Stout with wives, Sarah Morris and Josie Gawne. Robert L. Irwin was the youngest of the Irwin brothers. It appears that Robert Irwin may have moved his family near Billingsville so that his children might be able to attend school in College Corner. In 1901, Lucy, the eldest daughter of Robert and Marilla Irwin died. 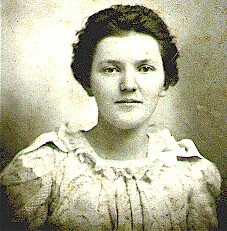 Her death record was filed in Franklin County and states that she was buried in College Corner Cemetery. 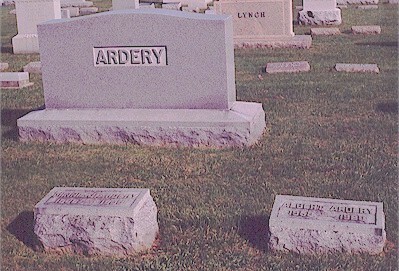 However, there is no such record in the cemetery records. Robert L. Irwin, his wife, and three other children, left Indiana in 1903 and moved to Missouri, where he died two years later. Go back to the College Corner page. Background music is "After Your're Gone"